Dance and music for the Disco is probably one of the most popular areas of the musical culture of the past twentieth century. In the early 70s, rock music was going through a rather difficult period, it was associated with loss of interest the new younger generation to the fact that it was created the field of rock culture. the protest, folk - rock, the depth and scale of art - rock, ballsy hard rock, a social particular areas of funk and soul - it's all gradually retreated into the background. the Broad masses of listeners are tired of all this content and the issues that they were trying to convey, and needed something quick and simple and uncomplicated. And this outlet is the emergence of disco. Disco is the abbreviation of the French discotheque (disco). Literally as "save disks". The ancestor of the discos is considered to be the juke-box (gramophone machine), in which there were two or three dozen plates, which were played by choice. They had their audience, have a repertoire and even their famous performers. In the 30-ies and 40-ies, these machines are set throughout America and after the Second world war, and in some Western European countries. because of this, the rapid development of recording equipment was provided by the incredible rise of the gramophone industry began to produce long-playing records, portable record players, and music began to enjoy great success. There was a special musical radio station, the main objective which was promotion and advertising for the music market recent records and new stars. birth Year for this dance and the musical direction is recognized as considered 1974. Happened this momentous event on the first discotheques in new York, where, in contrast to clubs which at the time was music in live performance groups, ensembles, and at worst, and one pianist. And if only to find itself was not possible, resorted to the use of phonographs, gramophones, or the previously mentioned juke boxes. At the disco was all the opposite, using recorded on vinyls music, disc jockeys (DJ) played the role of the consummate managers of a disco ball. Having an extensive range of vinyl records, disc jockey, combining different songs every time made them the original mix, given the composition, tastes, and even the mood of the public. the Most successful songs, getting on the radio, became hits, which, in turn, increased CD sales. 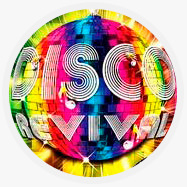 Record companies and producers began to create, and to write special music for discos, and very quickly music disco came disco, and acquired universal fame and popularity. And after a few years, all across America captured a real disco boom. the Main difference Disco – a rhythmic, even tempo, accentuated by the shock of the barrel. The "classic" pace is recognized as a rhythm with a frequency of one hundred twenty beats per minute (which is actually two times greater than a human pulse in normal condition). A characteristic feature is the continuous bass line, and the arrangements used solo wind and string instruments. The structure of the composition often consists of several blocks (with a change of figure, melody, tonality, bass, etc.) that does not allow long songs to annoy the listener. -Rich, vibrant, lush arrangements, adorned with electronic effects. One of the brightest representatives of a European version of disco, which greatly influenced the emergence and formation of the group is ABBA. The group ABBA was created in the city of Stockholm in 1970, is the first non-American and not an English group, which has repeatedly achieved top positions in the charts of America and England. From 1974 until 1982, it was recorded eight albums. The panel consisted of: benny Anderson (keyboard, vocal, composer), Frida Lyngstad (vocals), Agnetha Faltskog (vocals), Bjorn Ulvaeus (vocals, guitar, composer, STIs Anderson (the band's Manager and lyricist). In the 70-ies it was the most successful pop group in the whole of Europe and beyond. The total number of disks - more than two hundred million. In their homeland in terms of profitability ABBA ranked second after the Stockholm stock exchange, while surpassing even the automobile concert "Volvo". And yet, but the fact that in 1984 the band broke up, their songs are still popular all over the world, especially in the post-Soviet space. Euro - disco is the direction which was common in the 80s and the Soviet Union. the Most outstanding representatives of Euro - disco, which gained worldwide fame along with group ABBA , such performers as Samantha Fox, C. Catch, Kylie Minogue, Sabrina, the group "Pet Shop Boys, Modern Talking, Bad Boys Blue, Boney M" and others. Typical features of disco 80-x was flashing effects, rotating mirror balls and strobe lights, mirrored walls. All this contributed to the increase in the popularity of disco. Another significant element of this wonderful dance and music flow is a sparkling, cutting eyes with dazzling colors clothes, high hair, bright makeup, in General, emphasized the effectiveness and luxury throughout. Now all the CIS people who have had the joy to be born, live, and work in 70-ies and 80-ies in the vast expanses of the USSR at the mention of Disco will find it easy to list the above bands and artists, because the disco for us is an integral part of the history of the mills. The film "disco Dancer", broke in the early ' 80s, starring Mithun Chakraborty were also famous as Leonid Brezhnev. In the second half of the 80s, popular songs of the group "Mirage", "Tender may", etc. came from all houses, discos, tape recorders, and stereos brand new "nines". And it was one of the fresh gusts of the coming winds of change. Disco wedding in the style of the 80s this is a delightful opportunity to experience, to feel the spirit of the time, and perhaps nostalgia for couples. And the guests will surely be delighted by such an unusual occasion. music era of "hipsters" of the 60-70s now or very popular discos of the 80s, will perform and will help you to pick up, a great cover band "Orange VINIL". They will perform popular hits of the time. And even if the couple don't know how to dance to this music, they will always be able to always tell their parents, older brothers and sisters who know first-hand what the spirit of freedom. But the "Orange VINIL" you will always have this spirit of freedom to bring to life!